Gwinnett County Commissioner Charlotte J. Nash: Tell Sister City, Seoul Gangnam District, South Korea, That We’re Opposed to the Torture and Consumption of Dogs and Cats. Seoul Gangnam District became Sister city with Gwinnett County in 2009. Culture, art, high-end shops, first-class hotels and fashionable streets – all can be found within Gangnam District in the ‘City of Korean Cultural Center and Global Advancement” regrettably, so can the dog meat restaurants and so-called ‘health-food centers’, places that brutally slaughter dogs and cats, to be served up as food and drinks. 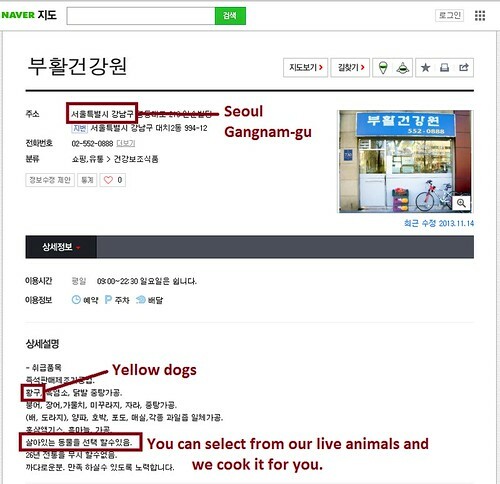 A Search Engine reveals the sickening scale of Seoul Gangnam District’s dog meat demand. The searches resulted in: 163 Health Food Centers; and 69 restaurants in and around the city of Seoul Gangnam District alone. 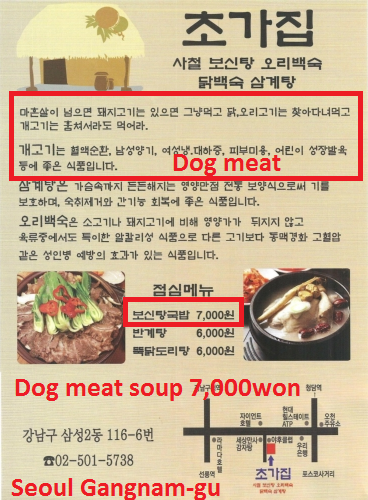 Even if half of these ‘Health’ Food Centers and restaurants serve dog and cat ‘ingredients’ in one form or another, just imagine how many dog/cat slaughterhouses must be present in and around Seoul Gangnam District in order to supply all of these outlets. Please sign petition, call and email Gwinnett County Commissioner Charlotte J. Nash, TODAY! Seoul Gangnam District is one of the largest dog meat consumption areas in South Korea. 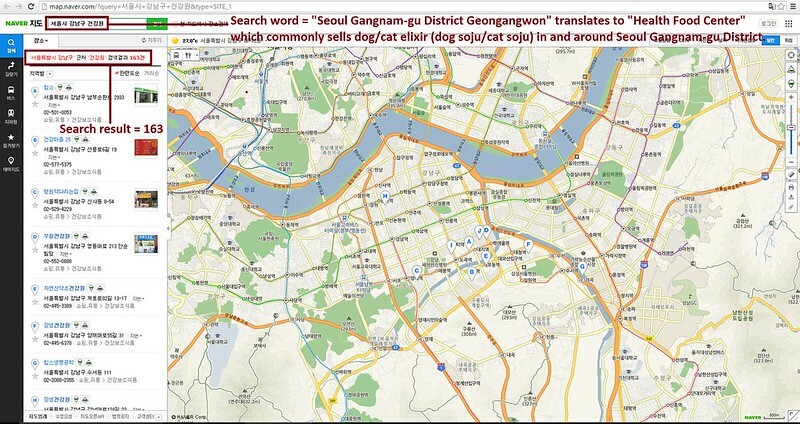 The Korean internet searches resulted in: 163 Health Food Centers which commonly sell dog/cat elixirs (also known as dog soju and cat soju); and 69 dog meat soup restaurants in and around the city of Seoul Gangnam District alone. No matter where you live PLEASE SHARE these actions with your friends – especially those who live in Gwinnett County!